Paul Graham wins Deutsche Börse Photography Prize! 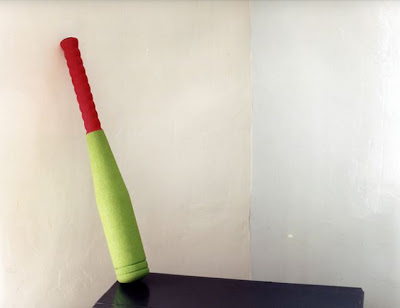 Paul Graham (b. 1956, UK), has been awarded the 2009 Deutsche Börse Photography Prize. At a special ceremony on Wednesday 25 March 2009, Jefferson Hack, co-founder of Dazed & Confused, presented the £30,000 award. The Deutsche Börse Photography Prize 2009 is presented by The Photographers’ Gallery and is on show until 12 April 2009. The Prize is awarded to an international photographer for their significant contribution to the medium of photography through either an exhibition or publication, in Europe between 1 October 2007 and 30 September 2008. 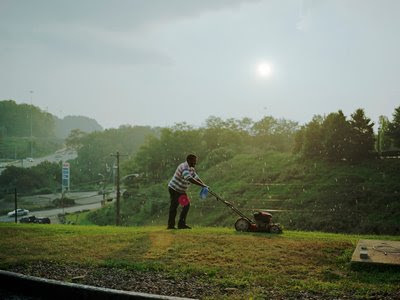 Paul Graham won for his publication a shimmer of possibility (steidlMACK, October 2007). a shimmer of possibility comprises twelve individual volumes of photographic short stories of life in contemporary America. Graham infuses lyricism into the most mundane of everyday human activities – fetching mail or lighting a cigarette – and creates quiet photographic moments, ‘filmic haikus’, which suggest and hint at a narrative but ultimately remain open-ended. At once poetic and political, his photographs manage to draw out something truly profound from the almost-nothingness of everyday life. 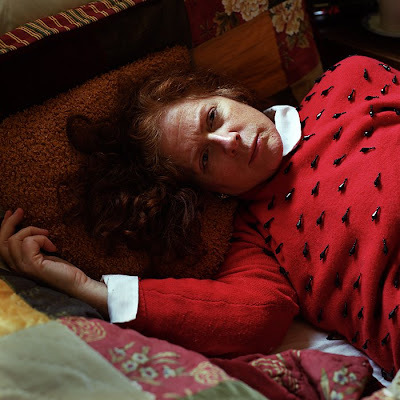 Paul Graham was chosen by the Jury members, David Campany (writer/lecturer, University of Westminster, UK); David Goldblatt (photographer, South Africa); Chus Martínez (Chief Curator, Museu d'Art Contemporani de Barcelona, Spain); and Anne-Marie Beckmann (Curator, Art Collection Deutsche Börse, Germany). The exhibition will tour to C/O Berlin (29 May – 29 June 09) and to Frankfurt in late Summer. Women in Photography, co-founded by Amy Elkins and Cara Phillips in June 2008 to showcase the works of female fine art photographers, is pleased to announce their first project grant, funded by Lightside Photographic Services/ and co-sponsored by LTI. The $3,000 grant award will provide funding to one female photographer to support project costs. Grant announcement will be made at evening event at the National Arts Club, Grand Gallery. There will be a reception for the grant winner and a slideshow presentation of their work. The Grant winner's work will be featured in a wipnyc.org online solo showcase opening on 6/16/09. 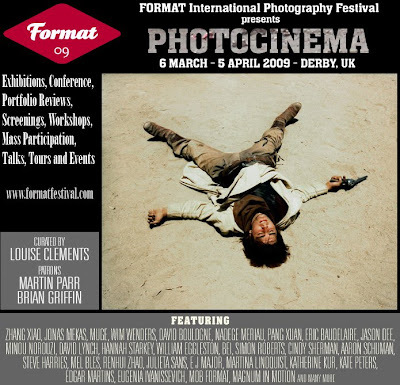 FORMAT 2009: PHOTOCINEMA - 6 March - 5 April, 2009(Exhibitions, Conference, Portfolio Reviews, Screenings, Workshops, Mass Participation, Talks, Tours and Events)Featuring David Lynch, Wim Wenders, Hannah Starkey, Jonas Mekas, William Eggleston, Cindy Sherman, Aaron Schuman, Eric Baudelaire,Siman Roberts, Edgar Martins and many more. Curated by Louise Clements. Patrons: Martin Parr, Brian Griffin. These are a few images that Dean Hollowood submitted from his lovely little project Still Closer. 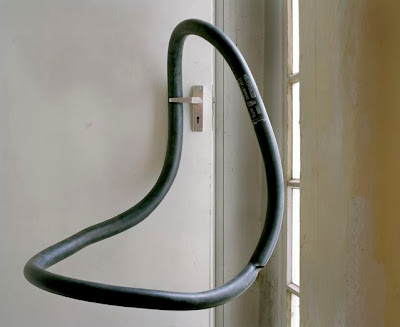 The work, he says, is "informed by a long period of hearing loss and is a reflection of life viewed through the minutia of my domestic surroundings." "Ten years ago I was diagnosed with a degenerative middle ear disease. My hearing gradually deteriorated to the point where I could no longer recognise sounds outside my immediate environment. This had a profound effect on my physical and psychological outlook. Silence changes the way you look at the world, it enables us to observe and reflect without being disturbed. More importantly the work is an expression of the emotional response to silence encompassing notions of melancholy, isolation and humour. Shot in landscape I reference cinematic psychodramas, each study is initiated through chance, part snapshot part staged. Focusing on the sculptural and abstract, and paying particular attention to colour I exploit the available light to fetishise the subject through the act of photography." Dean studied at St Martins and went on to work in editorial and design, clients included the charity Shelter along with the Guardian and Sunday Times Magazines. More recently he has focused on self initiated projects and have exhibited at the National Portrait Gallery, John Kobal Exhibition prize winner, The Lowry Centre, Salford and Four Corners Gallery in Bethnal Green. 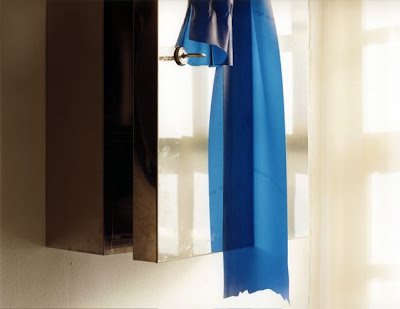 The project Still Closer was awarded the jurors choice prize at the 2008 Santa Fe Review project competition, and is about to be exhibited as part of the Format Festival, Photocinema in Derby.